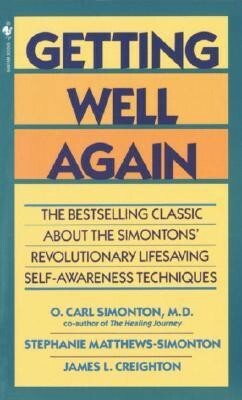 Based on the Simontons' experience with hundreds of patients at their world-famous Cancer Counseling and Research Center, Getting Well Again introduces the scientific basis for the "will to live." In this revolutionary book the Simontons profile the typical "cancer personality": how an individual's reactions to stress and other emotional factors can contribute to the onset and progress of cancer -- and how positive expectations, self-awareness, and self-care can contribute to survival. This book offers the same self-help techniques the Simonton's patients have used to successfully to reinforce usual medical treatment -- techniques for learning positive attitudes, relaxation, visualization, goal setting, managing pain, exercise, and building an emotional support system. O. Carl Simonton, MD, (19422009) was a radiation oncologist and founder and director of the Simonton Cancer Center in Malibu, California, the first cancer counseling program to recognize the role and importance of family and personal support and to include them in the treatment plan. Dr. Simonton was a frequen lecturer at hospitals and medical schools, a consultant for cancer counseling programs, and the author of numberous articles for professional publications. Stephanie Matthews Simonton is a psychotherapist. She is the co-author of Getting Well Again and the author of The Healing Family. I'm the author/artist and I want to review Getting Well Again: The Bestselling Classic about the Simontons' Revolutionary Lifesaving Self- Awareness Techniques.